Jean Guichard, a the famous French photographer flew over the lighthouse by helicopter in 1989. 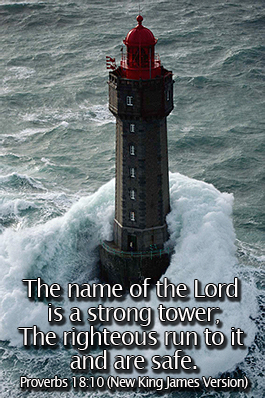 The Lighthouse Keeper had requested a helicopter rescue because of the storm. Hearing the sound of Guichard's helicopter he assumed it was the rescue and opened the door. Upon hearing the wave he quickly went back inside and missed death by seconds. 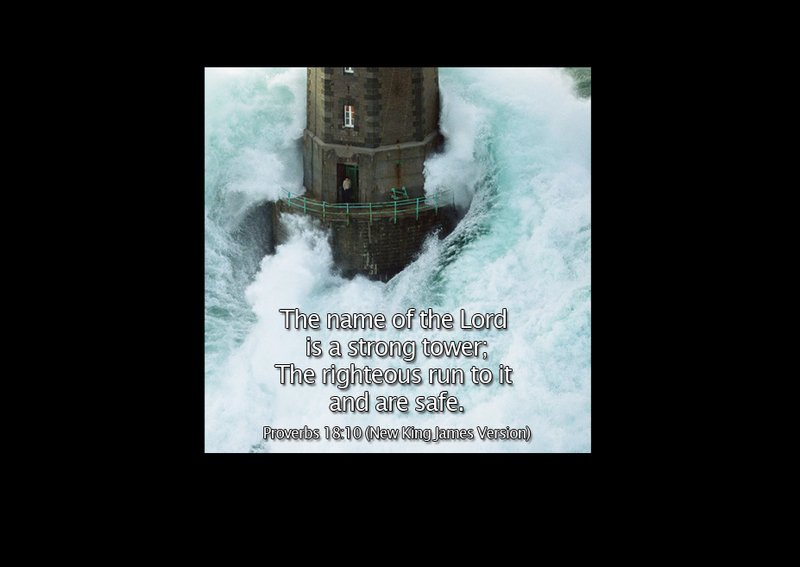 The lighthouse standing the pounding of the waves illustrates the truth of Proverbs 18:10. Check out the video of pictures of the event.